The Toyota RAV4 is the quintessential compact SUV for 2019, boasting premium materials inclusive of an increased interior soft-touch surface area, dashboard trim, digital and multimedia displays, all within its compact SUV body. Expanding your tribe? 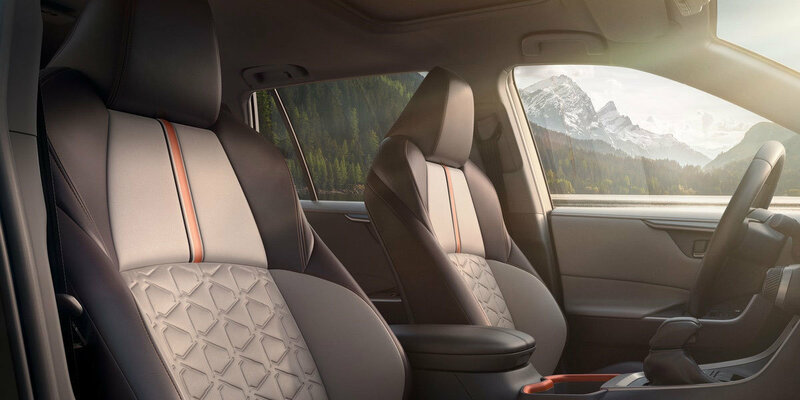 The 2019 Toyota RAV4 maintains the reputation of being one of the best family cars available, doubling up as a sporty moonlighter for date night at Chapmanville’s Surrey House Restaurant or catching a Clay Center Symphony performance in Charleston. Enjoy it all with the Toyota RAV4! Added to its refined interior, the 2019 Toyota RAV4 has a wider and extended wheelbase, giving it a more aggressive stance. Exterior details like flared fenders, dual chrome exhaust tips and modern LED taillights make RAV4 one of the trendiest cars available in the US today. 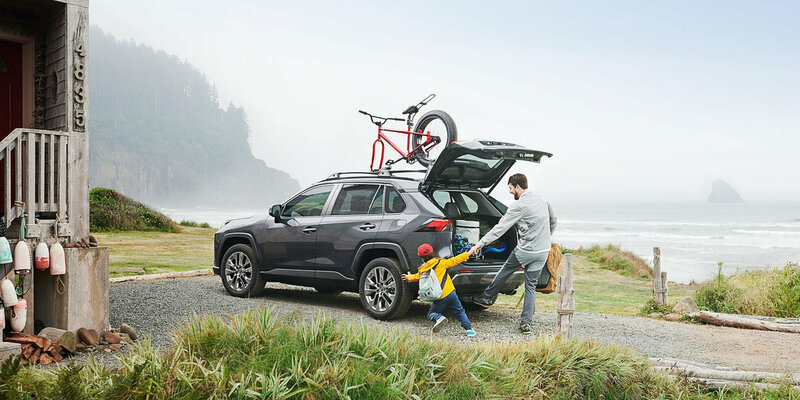 Whether you are taking the family for a cruise around town, fishing in Logan State Park or going it solo for a fun night out, the Toyota RAV4 is for you. Heading out to the Earl Ray Tomblin WMA for a bit of hunting or enjoy to a weekend at the Chief Logan’s campground? Check out the RAV4 Adventure Model, offering more rugged styling and tuning for the road less travelled. Fuel efficiency is never overlooked in the Toyota brand. 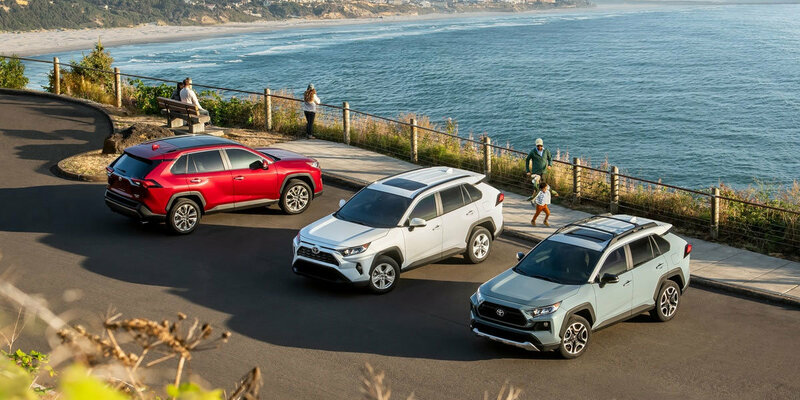 The 2019 RAV4 SUV also has a hybrid model, delivering great features in an eco-friendly design. 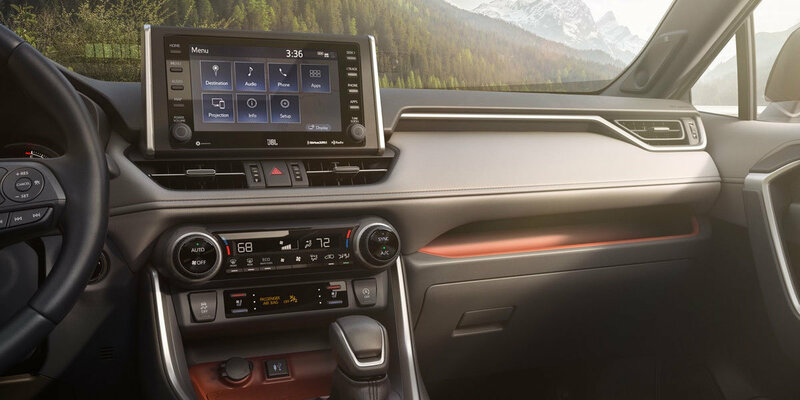 Rest easy as the 2019 Toyota RAV4 comes fully equipped with the latest technology and a state-of-the-art safety system, including forward-collision warning with pedestrian detection, cross-traffic alerts, and much more. To find out if the RAV4 is right for you, visit Mike Ferrell Toyota, your Chapmanville, WV Toyota dealership. 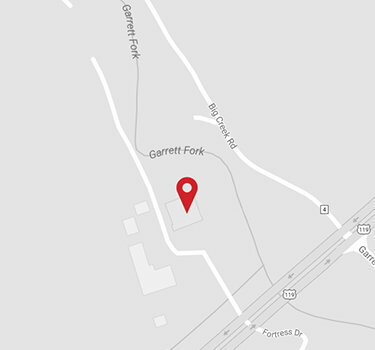 Mike Ferrell Toyota is your friendly, local Toyota dealer, serving Chapmanville and nearby areas in West Virginia. Contact us today at (304)-855-8200 to book a consultation or drop by to meet one of our qualified sales reps. We have the new Toyota vehicle you are looking for at a price suits your budget.